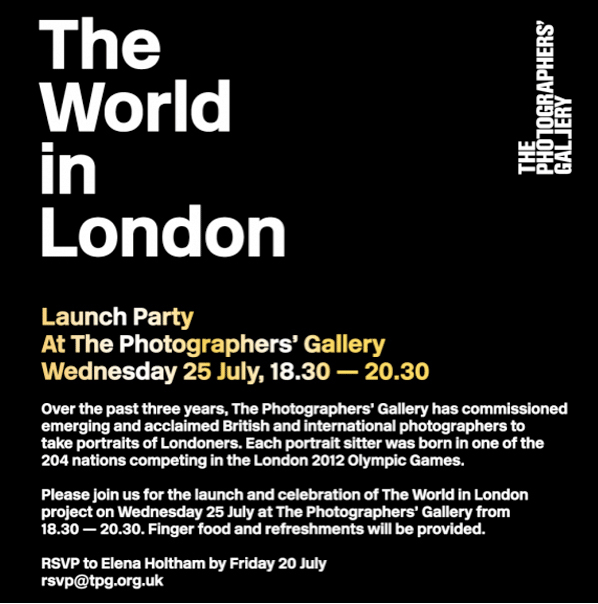 To mark the London Olympics 2012, the Photographers’ Gallery commissioned 204 acclaimed and rising photographers to take pictures of 204 Londoners, born in countries competing in the 30th Olympiad. The World in London exhibition can be seen in two locations this summer: One in Victoria Park, London E3: 27 July – 12 August 2012 and Park House, 453 – 497 Oxford Street, London, W1: 27 July – 30 August 2012. Riitta and I were honoured to meet Asaad Bazaraa from Oman and had a great day out making sandcastles and photographs together. Meet him and all the other 203 Londoners here. PreviousEyes as Big as Plates Finland, new work! NextThe World in London exhibition is open!